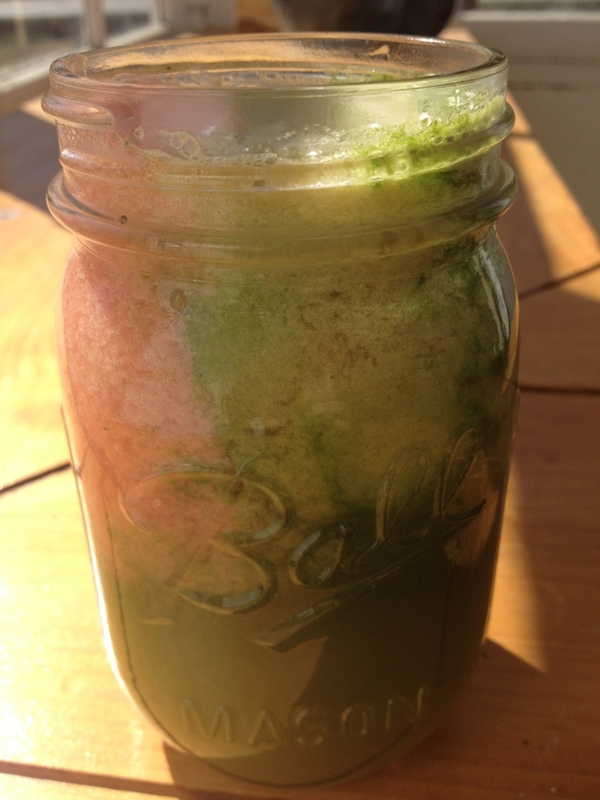 Starting this beautiful day off right with some delicious and vibrant juice! 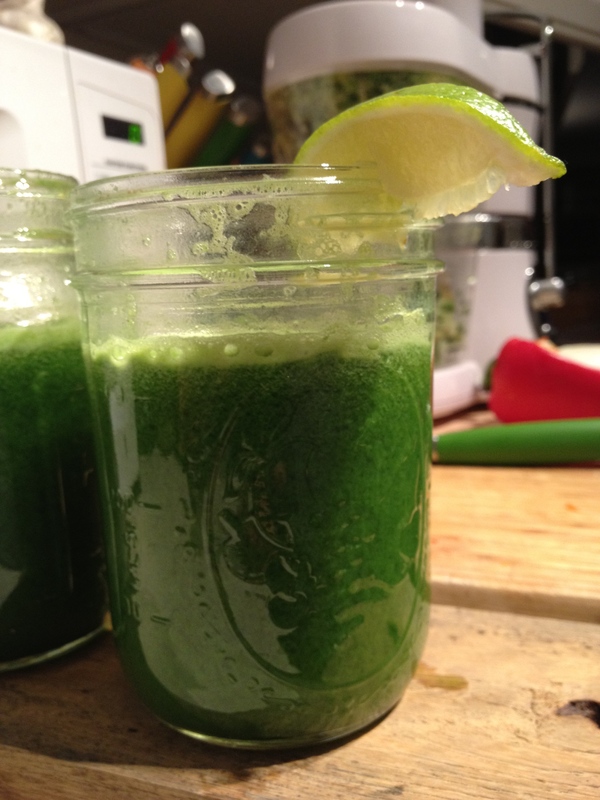 Juice lime, ginger, kale, pear, grapefruit (in this order) in your favorite juicer and enjoy!!! This recipe is also delicious if you leave out the cucumber and pineapple and add extra lemon, lime, and a pear or two. You will notice a sustained energy boost and gentle cleansing effects. Hello vitality! After watching Fat, Sick, and Nearly Dead, my partner and I were inspired to get a juicer. Due to budget restrictions, it took us some time to acquire one. From what I understand, there are two factors to consider when buying a juicer: the pulp-to-juice ratio, and the longevity of the machine. We seem to have found a fairly effective juicer (longevity to be determined) for about 100 bucks. My first day juicing was yesterday. 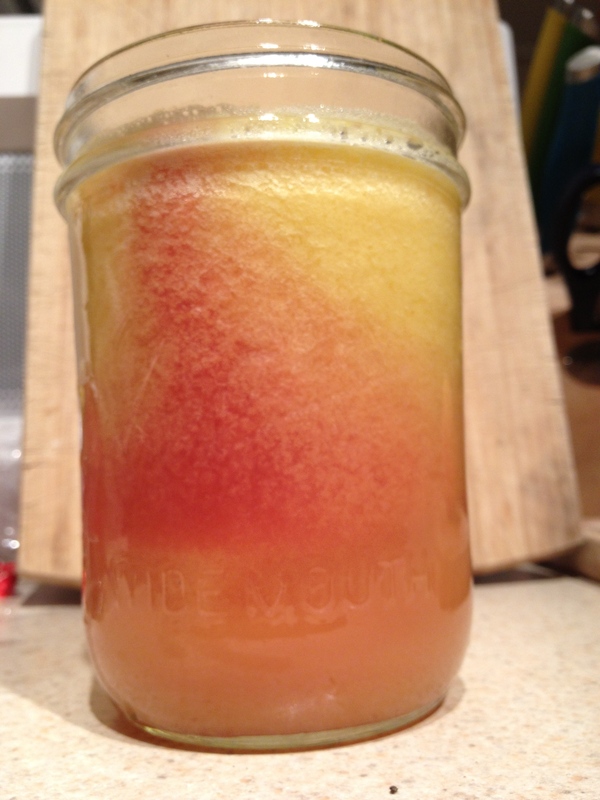 I followed my juice intuition and created an apple-orange-lemon-ginger delight that hit the spot. I took one sip and I swear, my eyes popped out of my head like a cartoon! Any sense of self control was lost to me, and in a few short moments, my juice was gone, gulped down as though my life depended on it. Clearly, my body needed those pure, fresh, nutrient-packed fruits. If you get the chance, try it!